Wow! What a week! Despite fishing here for nearly 12 years and running Fish the Dream for more than 6 years, some weeks blow me away. Neil, a regular from Ireland, came with 3 newcomers and what a week they had, starting with a giant sawfish in the 700 to 800lb range and taken just yards from where we caught one last year. A once in a life time experience, twice in two years. 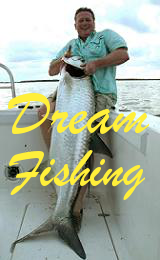 At last the water is back to normal temps and the tarpon are running big style. The biggest this week broke the boat PB fight record – 2hrs 35mins and took our boat 3.49 miles. It was too big to get in, probably near 200lb. So big you could have put a saddle on it. 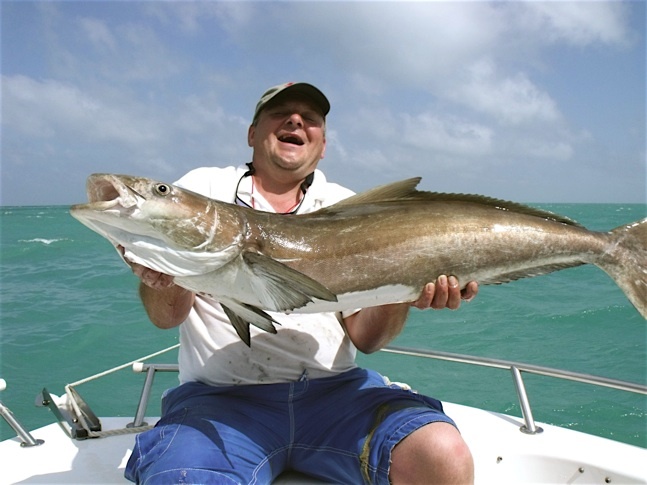 Grouper to over 300 on the gulf wrecks cobia to 25 and permit over 20. Also this week a fantastic tiger shark over 200lb, in my opinion the nicest looking shark in the sea. 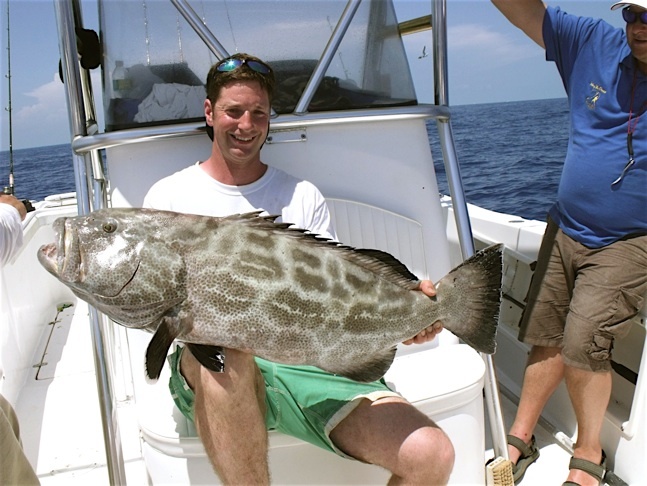 And to mark the reopening of grouper season a stunning 35lb black on a deep atlantic wreck. Also the start of the dorado trolling offshore. What a week and despite the worry of ash clouds on the way home Neil and his friends headed home tired from big fish and a bit sunburnt, but with memories that will last a lifetime. 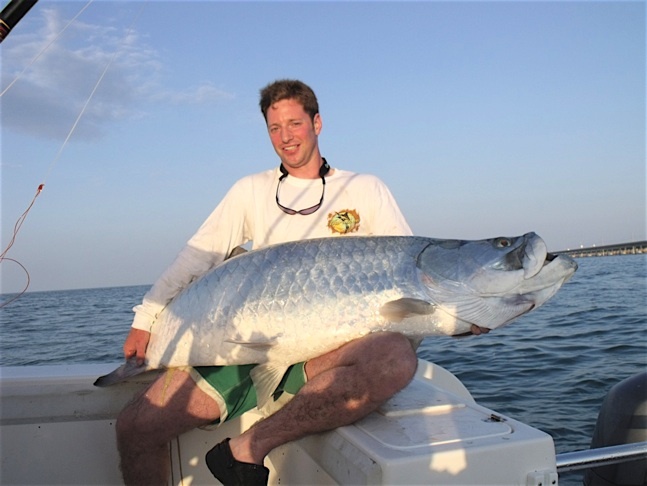 All the local guides reckon that the tarpon season will last well into July – a good opportunity to take advantage of our summer specials – JUST £55 PER PERSON PER DAY and only a few dates left. Filed under Giant Sawfish, Grouper, Tarpon, Tiger Shark.